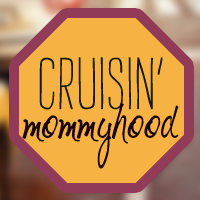 Cruisin' Mommyhood: Is Technology Your Toddler's Pacifier? 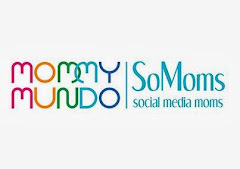 Is Technology Your Toddler's Pacifier? After Julia turned one, she would stop crying whenever we hand over a mobile phone to her. She would keep quiet and start to pretend to text or call someone. We realized that we were probably on the phone often when we are with her. So, that certainly was a wake-up call. But, I have to admit, we sometimes give her a phone just so she would stop crying, especially when we are in a public area. Though we are usually relieved that calm and peace would replace Julia's screams and "no's", we didn't want this to be our standard technique to make her stop crying. I wrote about my hesitation on technology in my previous post. This is the reason why it took a while before we finally decided to own an iPad. Don and I are unsure if we will be able to use it with discipline. It is so easy to hand over the iPad to a screaming toddler. It is very convenient to let her use the iPad so that we can have a peaceful lunch or dinner at a restaurant. It is absolutely tempting to let her use the iPad so that other people will stop staring at us because we are disturbing them with loud toddler sniffles. Despite our concerns, we bought an iPad anyway. As a rule, Don and I agreed that we will not use the iPad, or any gadget, as a pacifier for Julia. We want her to use it for the right reason and not because we just want her to keep quiet or to stop crying. While Julia is still young, we want to establish values, bonding activities and communication standards in the family. Hence, Don and I also agreed to minimize the use of mobile phones or tablets when we are with Julia. Oh, we are not hypocrites or know-it-all or horrible parents. We let Julia watch TV every day. Yes, everyday Julia and her yaya watch TV based on the schedule Don and I agreed on. We let Julia hold our mobile phones. We let her pretend that she is calling her Mama (my mother-in-law) or her Tito Ninong (my brother). Now that we own an iPad, we let her use it too. In fact, she loves Mickey Mouse Clubhouse, Pororo and Pocoyo. We make sure she sticks with her schedule and we balance it with other fun activities like Ba! (Peek-A-Boo), Tickle Tickle, Hop Hop Hop, a walk in the park, a visit to a museum or other road trip destinations. Seeing kids with a mobile phone or a tablet is considered "normal" these days. Technological advancement, as they say, is inevitable. Whether we embrace it or not, technology has a positive impact, not just on our life as a parent, but on our kids as well. Technology has tremendously improved our way of life by making our life easier and more comfortable. Family and technology can work well together as long as there is discipline and balance. I don’t know if we will be successful in establishing the discipline and balance when it comes to the use of technology, gadgets in particular. Books, toys, singing and doing other fun activities still has a calming effect on Julia. The use of gadgets is only one of the many activities we do as a family. I don’t know if our views and strategy will be the same when she finally turns two. But for now, this works for us. What are views about technology in your family?